Tour guide Larry "Cemetery Larry" Arroyo talks to a tour group on Oct. 19 at the site of the Eastland Disaster, where 844 people drowned in the Chicago River in 1915. 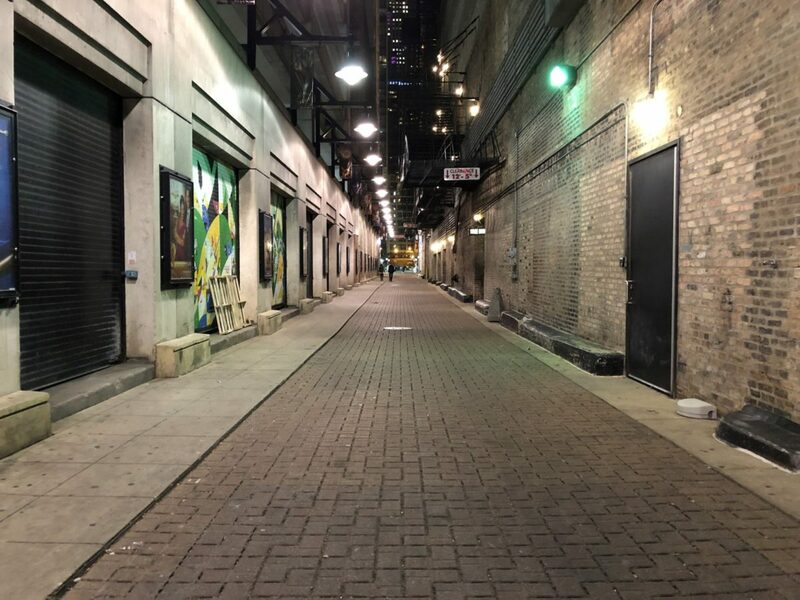 The alley behind the Oriental Theatre is nicknamed "Death Alley" because of the tragic deaths of 600 people there in the Iroquois Theatre Fire of 1903. 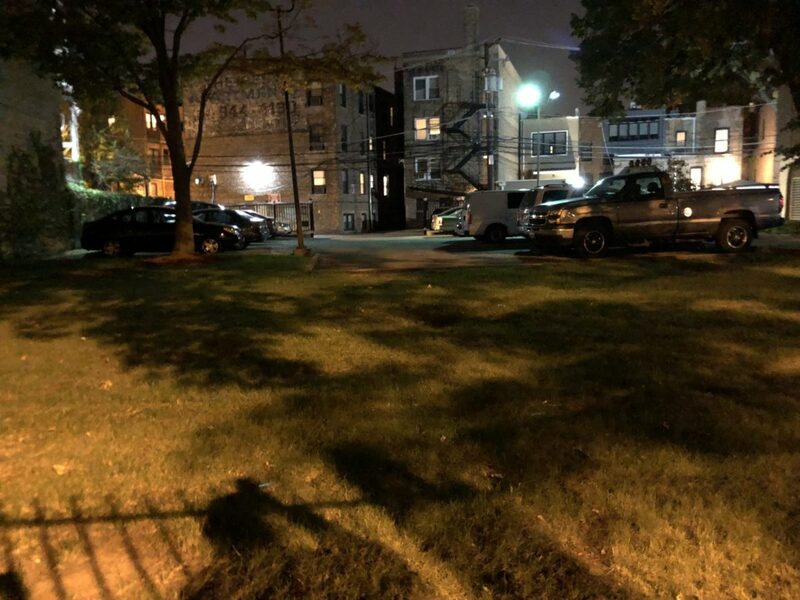 The site of the St. Valentine's Day Massacre of 1929 is now a parking lot, but it is still reportedly haunted by the spirits of the seven men murdered there by Al Capone's gangsters. 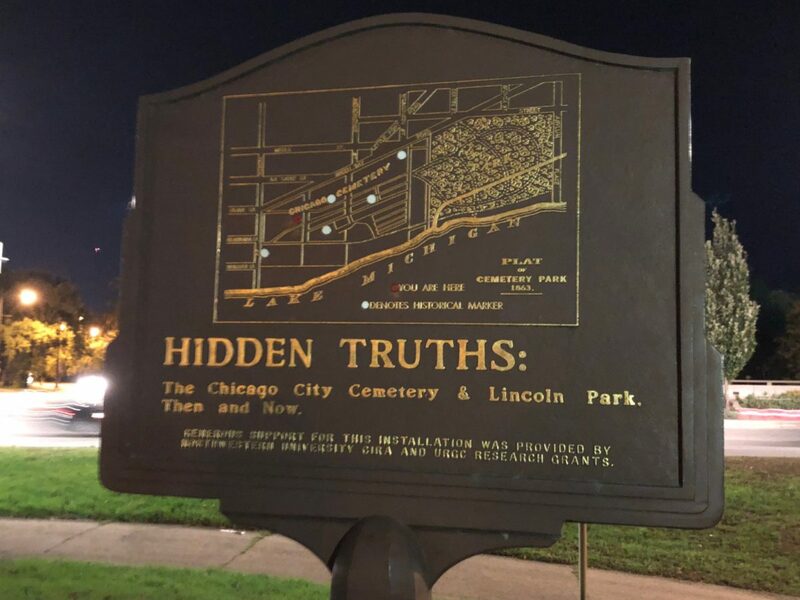 When the tour group went to Lincoln Park, Arroyo said part of the neighborhood used to be called Chicago City Cemetery and 5,000 bodies are still buried throughout the area in unmarked graves. The Couch Mausoleum is the last remaining grave site in Lincoln Park and the oldest standing structure to have survived the Great Chicago Fire of 1871. The cornerstone of Holy Name Cathedral, located right around the corner from Loyola's Water Tower Campus, still bears bullet holes from a mob hit across the street in 1924. People report seeing ghostly figures dressed in prohibition-era clothing walking around the area. 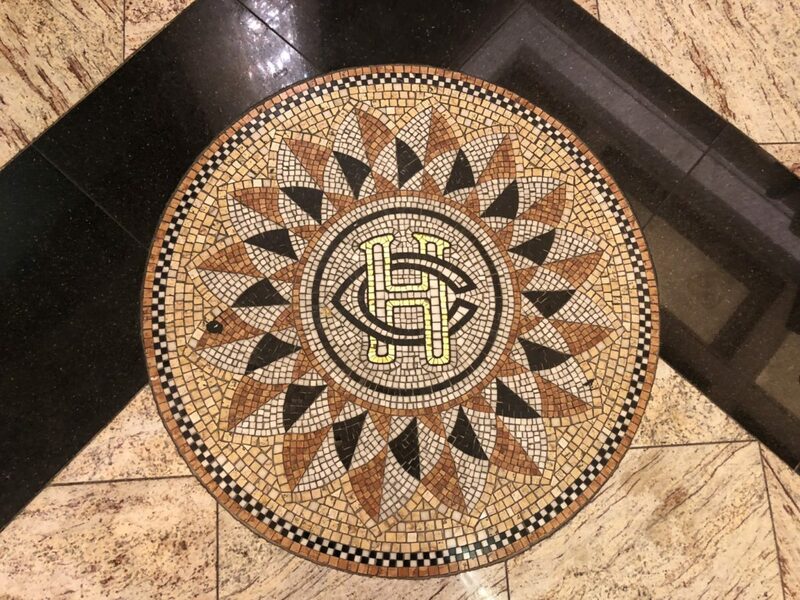 The tour began and ended at the Congress Plaza Hotel on Michigan Ave., which is said to be the most haunted site in the city. Some spirits there include a young Polish boy who died there in 1893 and a prankster ghost named Peg-Leg Johnny. 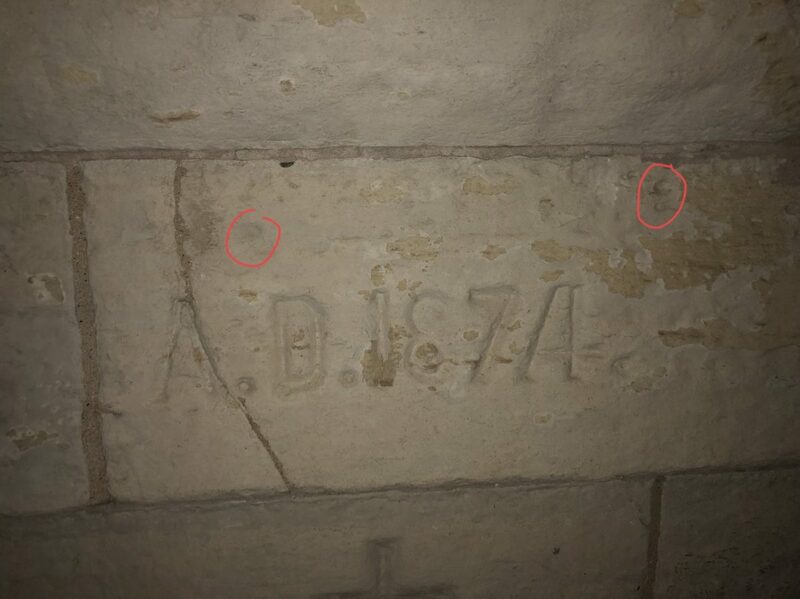 Have you ever looked closely at the cornerstone of Holy Name Cathedral (730 N. Wabash Ave.), directly around the corner from Loyola’s Water Tower Campus, and noticed strange dents around the date carved there? Have you ever walked through Lincoln Park Zoo (2001 N. Clark St.) and gotten an inexplicable uneasy feeling? If you attend a Chicago Hauntings Bus Tour — the city’s longest-running year-long ghost tour, according to its website — you might learn some spooky facts about these locations you didn’t know before. 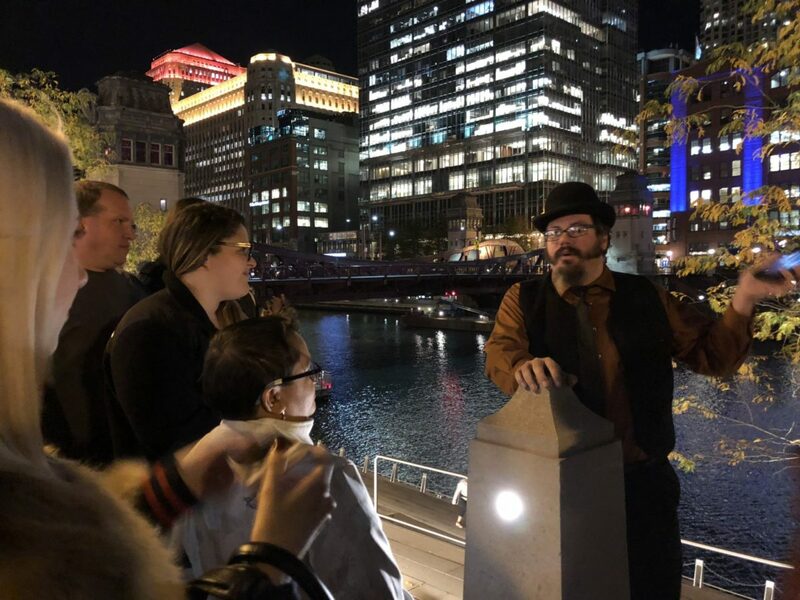 The PHOENIX attended a tour on Oct. 19 and visited six of Chicago’s most famous allegedly haunted locations, led by charismatic tour guide Larry “Cemetery Larry” Arroyo, 35, of Oak Park. He said he has a unique approach to the tours — he wants to keep the mood light, despite the often depressing events he has to recount. The tour began and ended at the Congress Plaza Hotel (520 S. Michigan Ave.), which opened in 1893 and is the most haunted location in Chicago, according to Arroyo. The famous hotel is reportedly haunted by a number of different spirits, including a young Polish boy who allegedly died there in the early 20th century, a violent woman who tends to “beat up” guests in room 441 and the prankster ghost “Peg-Leg Johnny.” The hotel is reported to be so paranormally active that it inspired horror novelist Stephen King’s 1999 short story “1408,” which was adapted into a film of the same name in 2007. The tour also visited the site of the horrific Eastland Disaster of 1915 along the Chicago River, “Death Alley” behind the Oriental Theatre (24 W. Randolph St.) where 600 people died in the infamous Iroquois Theatre Fire of 1903, the site of the 1929 Saint Valentine’s Day Massacre (2122 N. Clark St.), the Couch Mausoleum in Lincoln Park (1601 N. Clark St.) and Holy Name Cathedral, which stands across the street from the site of a 1924 mob hit and still bears faint bullet scars. Each site has its own story, which Arroyo told with grim detail and a morbid sense of humor. He showed black-and-white photos of the tragedies and the notable people he described, which enhanced the gruesome stories. He encouraged guests to take photos of the supposedly haunted locations to try to capture something supernatural for themselves. This advice eventually paid off. 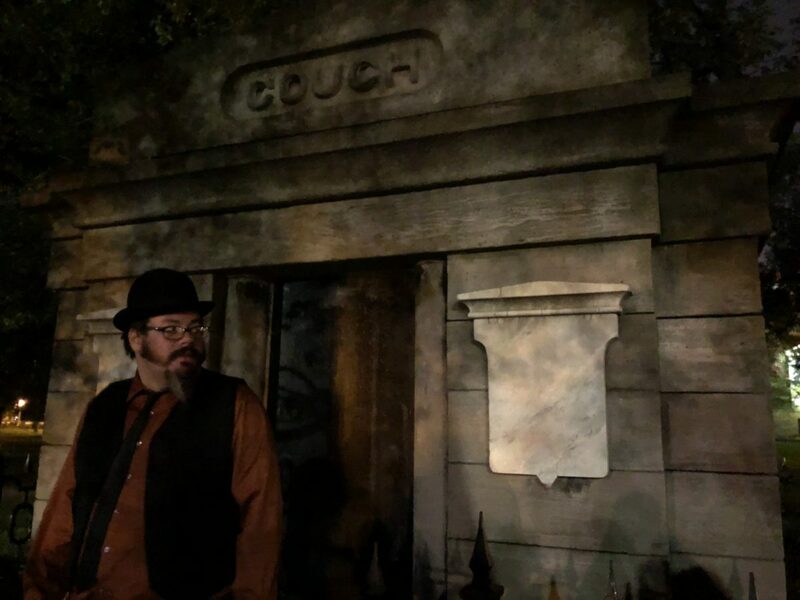 While visiting Lincoln Park, one tour guest took a photo of the Couch Mausoleum’s front door and captured a grainy image that looked shockingly similar to the face of Ira Couch, the wealthy hotel owner whose body was interred there in 1857. Arroyo said similar photos exist, claiming Couch likes to keep an eye on those lurking around his final resting place. The tour was creepy and full of fascinating tales of Chicago’s colorful past, which is why Arroyo says he loves his job. He works for the allegedly haunted Rosehill Cemetery (5800 N. Ravenswood Ave.) during the day as a burial planner and for Chicago Hauntings as a ghost tour guide at night. He’s been with Chicago Hauntings for more than a year and said the paranormal has fascinated him since he was young. When he started his job with Chicago Hauntings, Arroyo said he found he wasn’t keeping the tour groups interested. Calling upon his experience as a part-time stand-up comic, he decided to change his strategy. Remaining “detached” from the entities that reportedly haunt the locations Arroyo visits several times a week is important to him, he said, because he’s had personal experiences with those spirits both during and after tours. 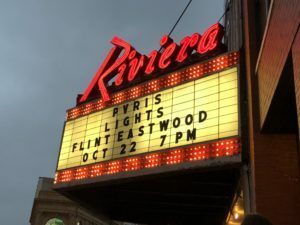 Of all the stops on the Chicago Hauntings tour, Arroyo said his favorite is the site of the Eastland Disaster, during which 844 people drowned in the Chicago River when an ill-designed ship capsized five feet from shore. According to Arroyo, people walking beside the river near the disaster site sometimes hear splashing and screams for help coming from the water. Chicago history is at the heart of Chicago Hauntings’ tours. Telling the stories of the Eastland Disaster victims and the seven men who were shot by Al Capone’s mobsters in the Saint Valentine’s Day Massacre keeps their memories alive and prevents these events from being forgotten. Tickets for the Chicago Hauntings Bus Tour are $35, and the walking tours are $25. To see a schedule of Chicago Hauntings tours and book a spot, visit www.chicagohauntings.com.